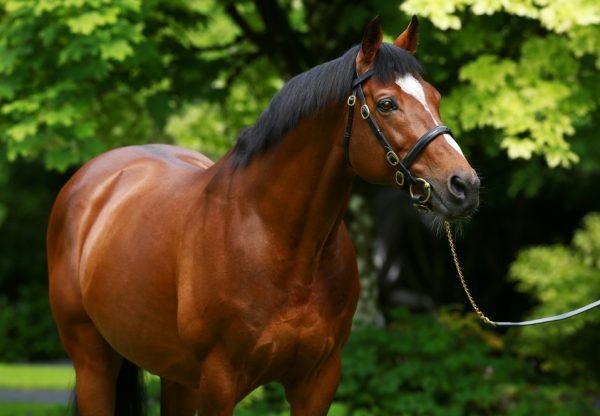 Dylan Thomas’s three-parts sister Homecoming Queen (3f Holy Roman Emperor-Lagrion, by Diesis) ran out a brilliant nine-length winner of the G1 1,000 Guineas at Newmarket on Sunday afternoon. Ryan Moore took a trailblazing role on the gutsy filly to record a winning margin that has only been exceeded once - back in 1859 - in the famous Classic. 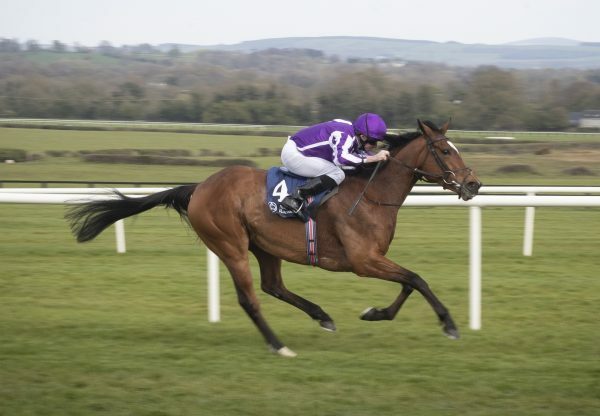 The Holy Roman Emperor filly was completing a Guineas double for Aidan O’Brien, winning 24 hours after Camelot (3c Montjeu-Tarfah, by Kingmambo) had landed the G1 2,000 Guineas. Homecoming Queen’s stablemate Maybe (3f Galileo-Sumora, by Danehill) took third place in the G1 1,000 Guineas. 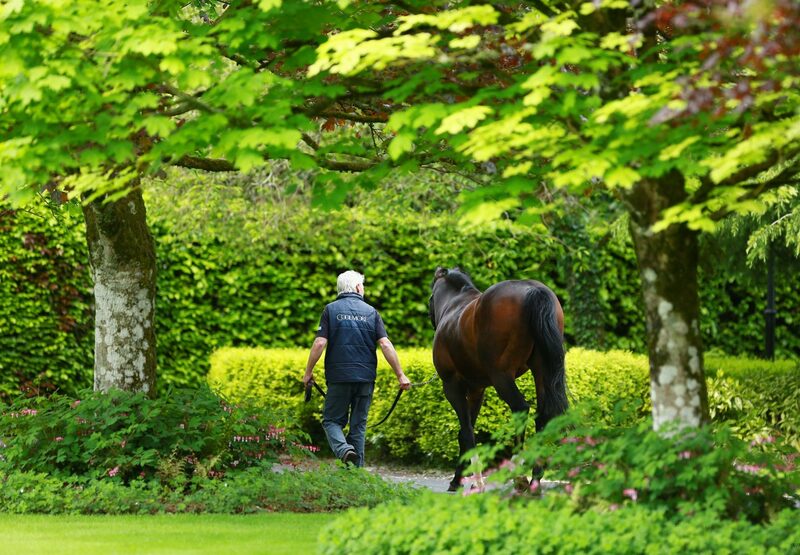 "She's a tough, hardy filly with a real pedigree and has been progressive all the way. Perhaps we didn't expect her to win quite like she did, but it was not a great surprise she did win. Joseph [O'Brien, rider of Maybe] said beforehand that she was the one he feared most," said O’Brien. "She improved a ton after her first run this year to win at Leopardstown last month and in the last couple of weeks she's been after going into a different zone. "She's not very big but she's got a massive engine and a massive heart. She's fierce determined, she'll never surrender, she's got the best of pedigrees and she's getting better. When you get those things together anything can happen." "We'll sit down and discuss it all in the next few days," added O'Brien. "We were delighted with Maybe on that ground first time out. But the Curragh, Ascot and Epsom will all be in the mix." Ryan Moore, on Homecoming Queen, found it all straightforward. "The plan was always to jump out and run," he said. "If something came and caught us, so be it, and if she was good enough to stay in front, so be it again, but maybe I didn't expect her to win so far. She's a revved up sort of filly, but the delay at the start didn't affect her, she was ready to go when she got to the start and stayed just the same." As well as being a sibling to Dylan Thomas, Homecoming Queen is also a three-parts sister to the 2010 G1 Oaks runner-up Remember When (5m Danehill Dancer-Lagrion, by Diesis) and a half-sister to the brilliant juvenile Queen’s Logic.